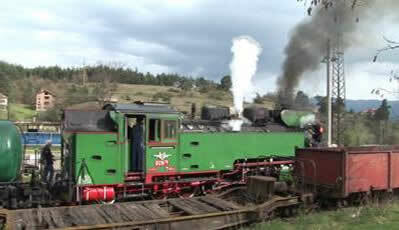 Rail Enthusiasts Holidays – Holidays by rail enthusiasts, for rail enthusiasts. Welcome to the world of Enthusiast Holidays! Now widely acclaimed as a market leader in the operation of tours for steam railway enthusiasts, especially dedicated photographers and video/film-makers, and those who want also to see a little of the culture of the countries they visit, Enthusiast Holidays has since 1986 satisfied a clientele extending not only throughout Britain, but to France, Germany, Holland, Switzerland, Australia, Japan and the USA. Enthusiast Holidays – unlike many of the other railfan tour organisers which are amateur groups – is fully licensed and bonded, with the CAA and with Eurostar, sncf, DB and sncb in respect of tours based on rail travel; and has gained an enviable reputation for the excellence and professionalism of its carefully-planned programme of tours which are nonetheless very keenly priced. Enthusiast Holidays celebrated its 30th anniversary in 2017, and it has survived when many others who entered the railway enthusiast tour market, have come and gone. But nobody ever said it was going to be easy! It is an unfortunate fact that many countries where steam survives, are or have recently been, politically unstable – look at Burma, for example, or the former Jugoslavia. In Pakistan the disastrous security situation makes the monsoons that washed half the Khyber Pass away, and a m.g. system based on Mirpur Khas that hasn’t seen working steam for years, somewhat irrelevant at the moment, although the good news is that an SGS 0-6-0 and an SPS 4-4-0 have been discovered intact in Lahore works, and are to be kept (although no plans to put them into traffic because there is currently no funding to restore them). Ukraine steamed its last in 2007, with all the locos. supposedly scrapped in 2008 as it was uneconomic to keep them – in any case the current strife with Russia would make it impossible to operate the highly successful “Dzherelo” trains like we did in the ‘nineties. Enthusiast Holidays has always striven to run tours to places where steam survives in ordinary service, augmented by charter trains only where that is no longer possible; however the number of countries that meet those criteria is getting fewer by the day, so we are working on a series of Winter weekend tours – by air – to locations where steam still exists, and can be “steamed up” when their operators know that a good-sized group is coming – places like Bulgaria, Italy, Switzerland, Austria, Portugal and others. Moreover Enthusiast Holidays is embracing the growing interest in what might be described as “Classic Modern Traction” – particularly among enthusiasts who are of an age that grew up with it. Our first such tour was to have been to Kenya in 2014 – using the now elderly Class 71 and 87 English Electric diesels – but that tour may now never run, as the metre gauge track has been eclipsed by the Chinese-built standard gauge line. 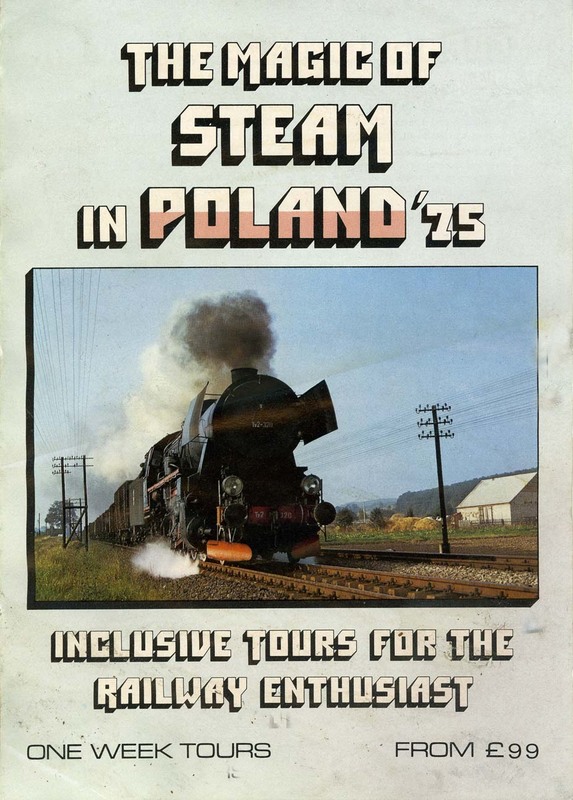 However we are determined to press on and produce a range of tours – possibly the first being to Poland one August, based on the museum depot of Chabowka in the South-East – which will combine modern “classic” traction with enough steam to rival the old steam tours programme in popularity. Keep an eye on our “Classic Traction & predominantly non-steam” category as things develop. We’re still promoting the tours in France run by the Le Creusot 241P people – but we don’t yet know if they are including Switzerland in their programme this year (2019), and Eritrea and Colorado in the Fall are also on the back burner for the time being. However, Enthusiast Holidays really started life in 1975 as th e Magic of Steam in Poland, and appropriately celebrated its 40th Anniversary by promoting a tour (run by the Wolsztyn Experience people) using an Ol49 and TKt48 over 4 days in South-West Poland and which was a great success (see this still frame from the video, right.) We will be supporting others in the future. Next, we are planning a long weekend in China (Sandoling) – the last place where steam is working in any numbers (“JS” 2-8-2) early spring 2020, plus an add-on to Taiwan for the Shays of Alishan during the cherry blossom season. Subject of course to the Shays being serviceable, and to permission being granted to operate on at least a 10 – 20kms of the the 70-odd km line. See China (Sandaoling),Taiwan, and Hong Kong for the provisional plan for 2020 – full details will be confirmed as they become available. We are looking at Russia, where roughly halfway between Moscow and St. Petersburg, a regular Sunday steam (“Su” 2-6-2) service has started on a country branch line. Not enough on its own to justify a tour, but we are looking closely at other possibilities in the former Soviet Union. In 1983 we operated a “Christmas Special” tour to India, which was a great success. In those days, of course, there was a great deal of regular steam in India and indeed in Pakistan and Ceylon). Now, apart from the mountain railways, there is none – except a growing number of working preservation sites which, taken together, make a very attractive holiday! Look at our “Steam Tours” pages for evolving details of our plans for this Christmas/New year 2019/2020 tour. Of all the European countries, Bulgaria is perhaps the most progressive in its attitude towards steam railtours, having gone to considerable trouble and expense to restore some of the most interesting steam locomotives on the Continent. So for the Autumn of 2019 we plan a tour using several of these engines, following a visit to the former Jugoslavia for steam specials in Slovenia (with “25” Golsdorf 2-8-0 and “06” 2-6-2); on to Bosnia for a visit to the Kreka mine operated by “Kreigloks”, and n.g. 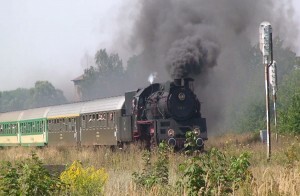 “83” 0-8-2’s and into Serbia for the spectacular mountain “Mokra Gora” n.g. system, also worked by “83’s” and whichever coal mines/steelworks that we can find that still use “62” (USA Tank) 0-6-0T. Enthusiast Holidays is part of , one of the largest wholesalers and retailers of European rail tickets and reservations in the UK, with its own website – www.trainseurope.co.uk Independent travellers may wish to know that Trainseurope Ltd. offers a full range of rail tickets and seat/couchette/sleeper reservations within Europe; rail passes (i.e. “Inter-rail Global” and “Inter-rail one country” passes (see map below), also many Ferries, but call Trainseurope Ltd. on 01354 660222 or email info@trainseurope.co.uk – or complete and submit the on-line enquiry form to get quotations for more complex, or point-to-point journeys within Europe; also Swiss, Benelux, Italian, etc. etc. passes, and we can also get the unbelievable value USA railpasses. Trainseurope is based in March, Cambridgeshire (just a few steps from March railway station). You can also book Holiday Autos car rental, AVIS Car rental, and airport hotels and airport parking with us, and we are planning several other products which you can look at, and book, on line with minimum fuss without even having to pick up a telephone! But if you want the personal service, the Trainseurope number is 01354 660222. For Enthusiast Holidays call the London number below.